Why St. Thomas More School? 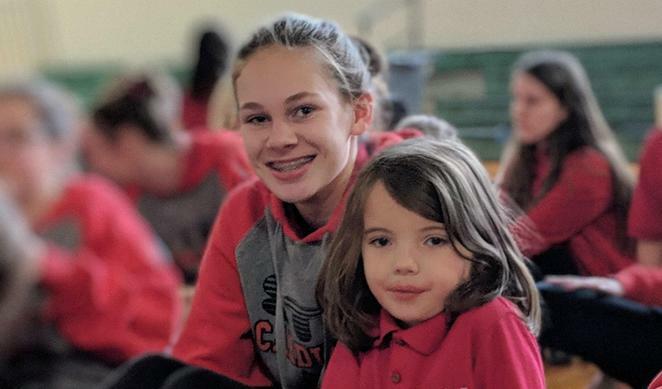 St. Thomas More School will realize its commitment to Catholic education by developing ample and quality opportunities for spiritual, academic and personal growth. We will be a living example of Christ’s presence through prayer, religious study, liturgical celebration, and service to the community. The student body of St. Thomas More will be challenged and enriched by the high standards of qualified teachers who affirm the students’ dignity and talents. The St. Thomas More School curriculum and practices will demonstrate Christian principles in all endeavors.